The MEVACO Configurator is here! 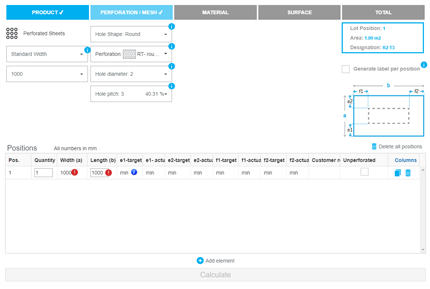 Configure your individual product or batch items. True to the motto "Fascinatingly simple", ordering has become even easier and faster for you with the MEVACO Configurator. 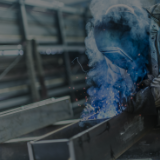 You are guided step by step through the configuration to your individual product or batch items. The video shows you in detail how to use the configurator. A range of new functions will help you with your order process. As soon as you have logged on, you can use all the features of the MEVACO Configurator. Select your desired product. Using the blue Info buttons you obtain corresponding product information. After clicking on the corresponding product you are navigated to the configuration options. 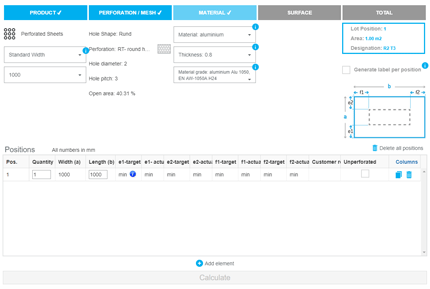 Adapt your desired hole pattern or mesh. Pay attention to the small icons in the dropdown list. They help you with the orientation. As soon as you have provided all necessary details, select the "Material" tab. Select your desired material and determine your desired material thickness. If required, you can also define the material grade. Then you are automatically guided to the surface configuration. 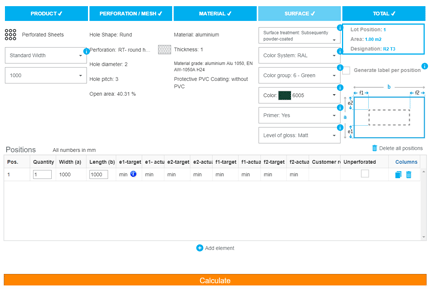 Define your surface criteria in order to configure your ideal product. You can customise various criteria such as colour and gloss level. Then the initial intermediate result is summarised at "Total". In the table you can individually configure the sheet sizes (formats) for your batch. The diagram on the right-hand side shows the relationship of the values entered in the table for a better overview. You individual configuration is now displayed in the "Total" box. CHOOSE FROM THE ENTIRE MEVACO PORTFOLIO! Almost every project can be realised with the incredible variety at MEVACO - turning every project into something special. 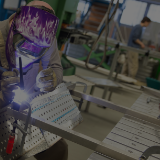 At MEVACO you receive expanded metal, perforated sheets, crimped mesh and welded mesh in superb quality and always designed to meet your needs. 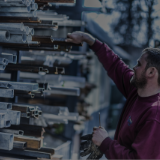 Do you required customised perforated sheets or a expanded metal? No problem! Are you looking for a special hole pattern or mesh? You've come to the right place at MEVACO! 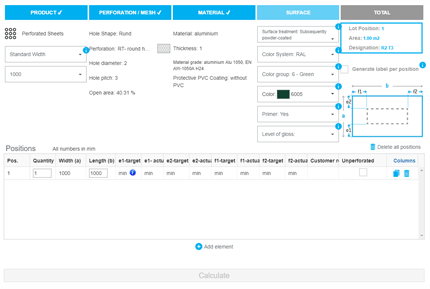 And it's so simple now thanks to our new MEVACO Configurator! 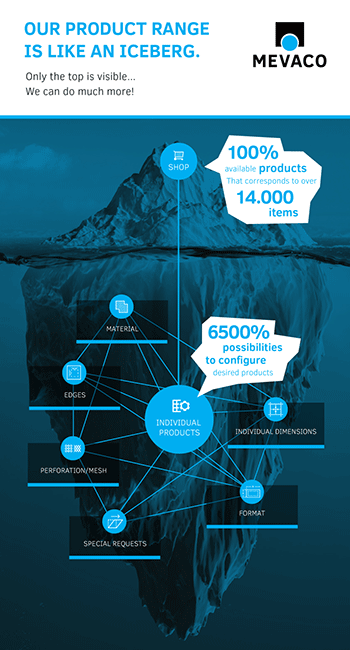 In just a few steps you can easily compile your desired product. 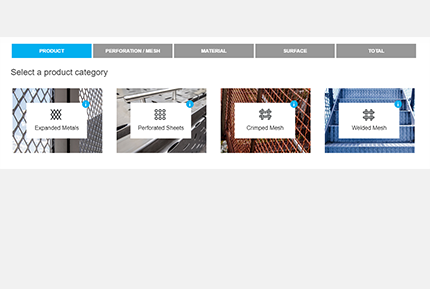 The configurator guides you step by step to your individual product from material and dimension through to the finish. Then you can order your desired product directly or save it for a later stage. Fascinatingly simple!